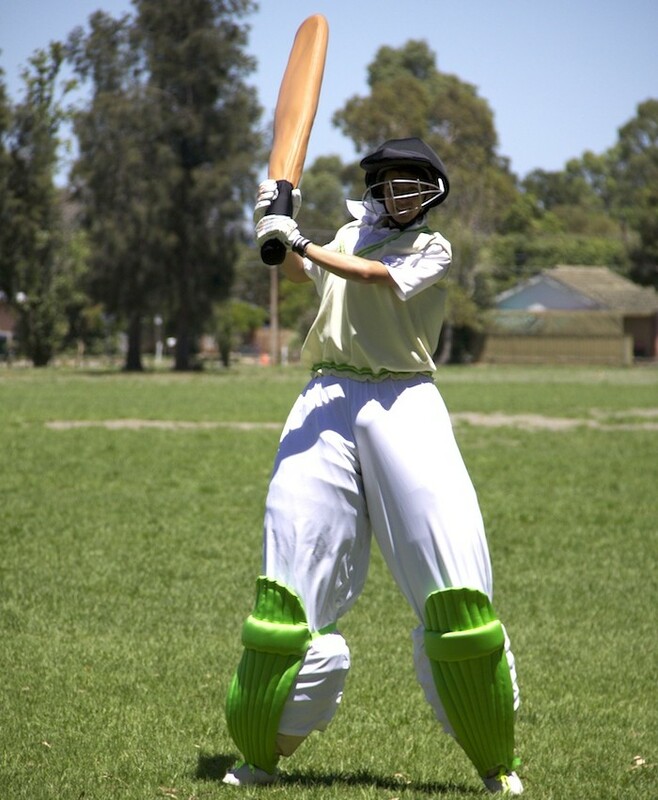 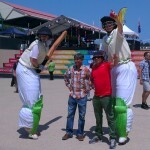 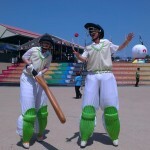 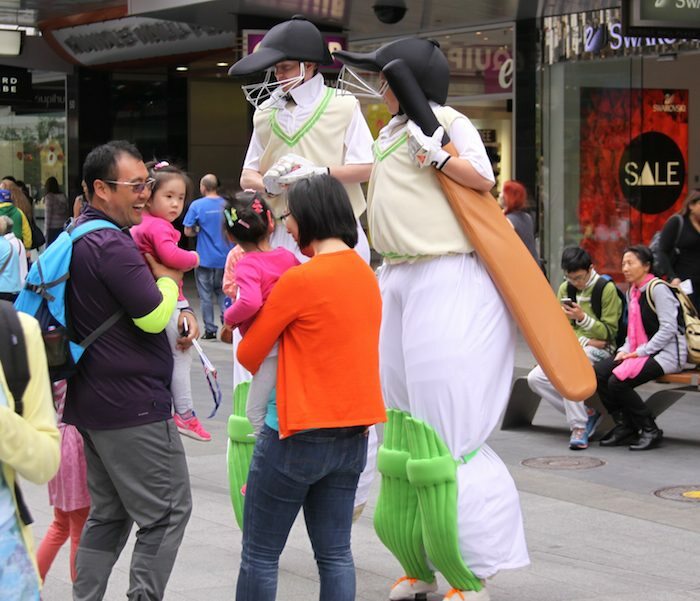 Our Slack Taxi Stilt Cricketers are fantastic and great for all kinds of events. 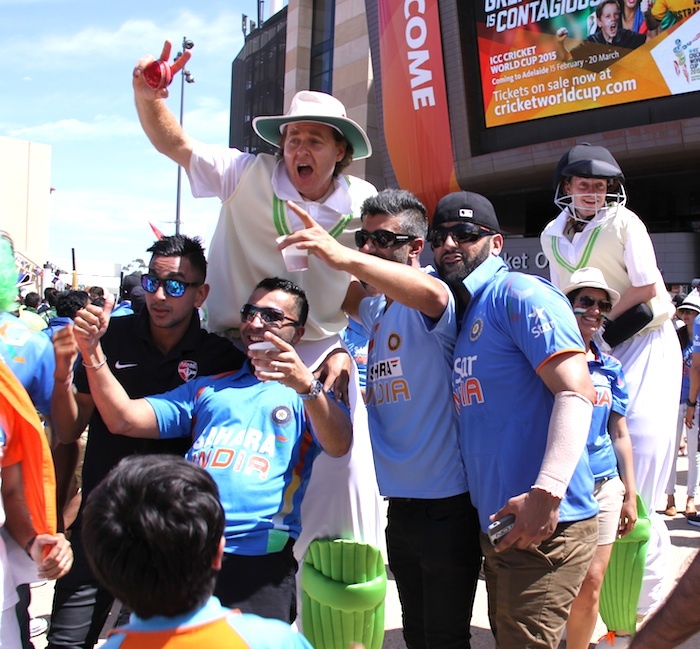 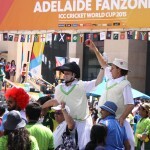 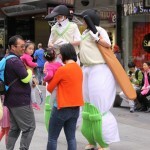 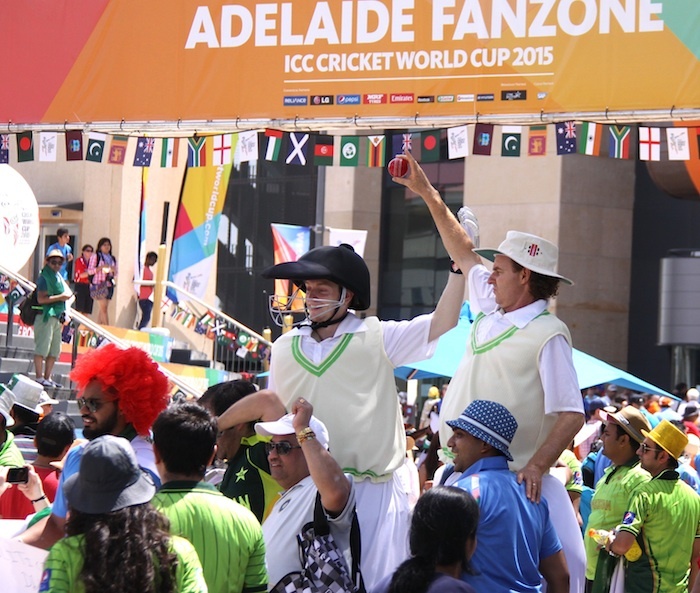 They have been booked during the Cricket World Cup with a fantastic response from crowds. 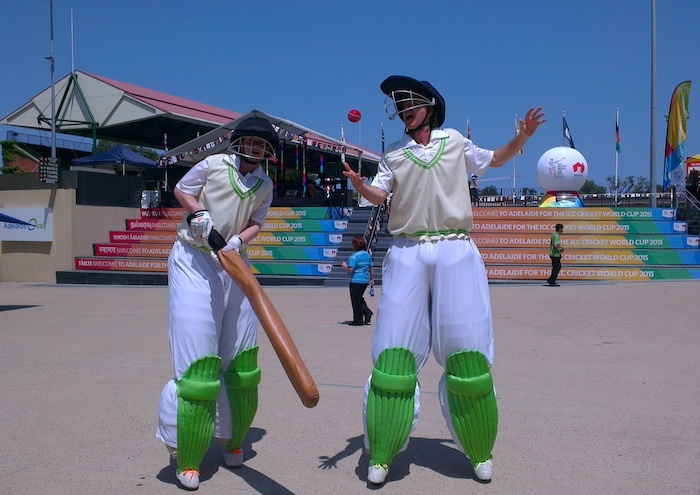 In meticulously detailed costumes our roving stilt cricketers are ready to open at your next sporting, summer, circus or Australian themed event. 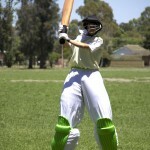 With more than a little of the usual cricket padding to add to their towering size they can’t be missed. 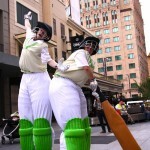 These guys can really deliver in the most entertaining way. 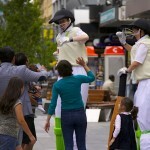 Comedy stilt walker roving at its sporting best. 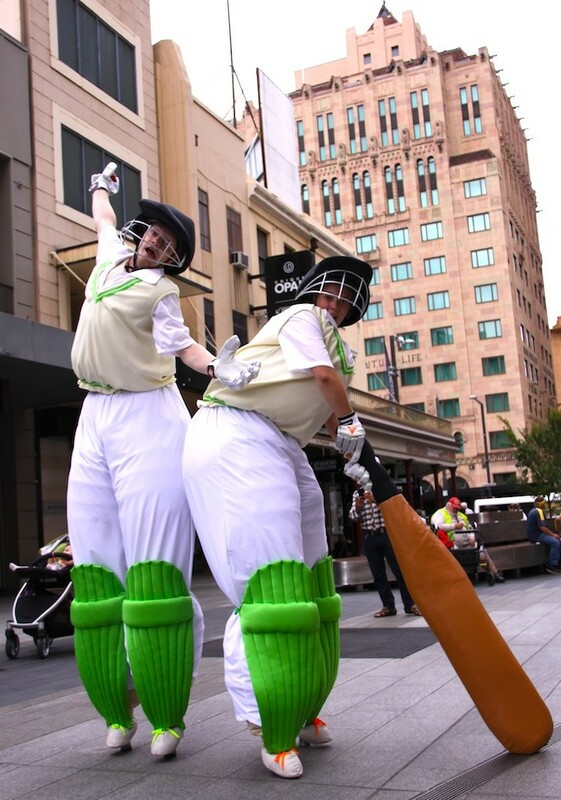 Based in Adelaide, two are available and costumes can be shipped interstate & booked with stilt performers in other cities. 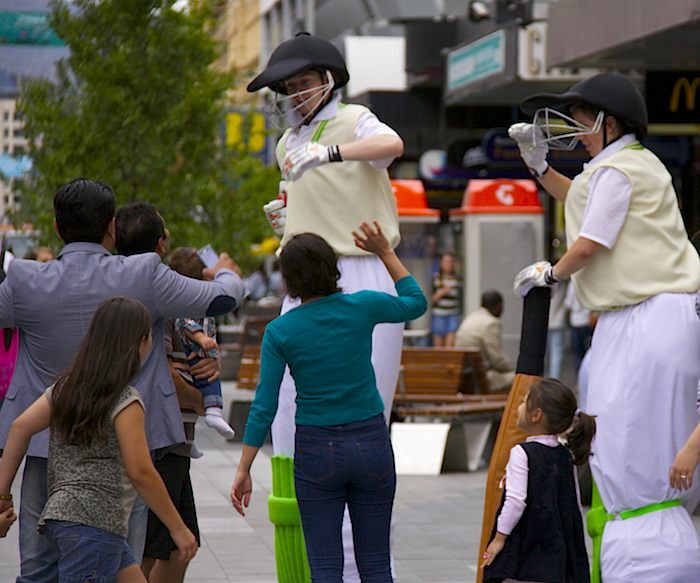 Slack Taxi owned they are designed along similar lines to our fantastic Stilt Chefs, Angels, Vintage Swimmers and Ballerinas.